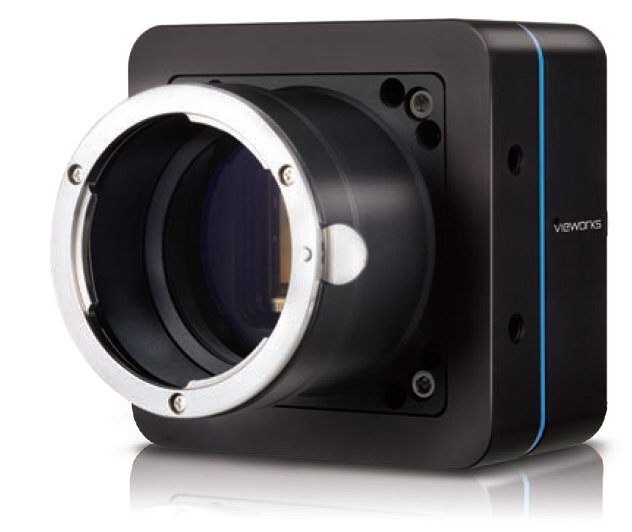 Vieworks VC-12MX-180 camera has 12 million pixel resolution with a readout rate of 180 frames per second. This high resolution and readout speed set a new product category for high-resolution high-speed imaging. The VC-12MX is available in monochrome or color and has global electronic shutter. This combination of performance makes the digital camera ideal for many high-performance imaging.